When Brett Ratner (inset) got ready to show Kites: The Remix to producer Rakesh Roshan and star Hrithik Roshan, along with executives from Reliance Big Pictures, the film's distributors, he was very nervous. The man who directed Anthony Hopkins in Red Dragon and Jackie Chan and Chris Tucker in three Rush Hour movies, admits that he wasn't sure if the Roshans would like his version. Among other things, the 130-minute long film had been cut down to 90 minutes. "I knew it had worked out well when I saw a big smile on Hrithik's face," he says chuckling, in an exclusive interview to Rediff.com "He said, You did an amazing thing. I did not even miss the dancing." The Brett Ratner version will have his name above the title, as in the case of his Hollywood films. Only a small percentage of Hollywood directors have that kind of a privilege. Ratner, one of the busiest writers, directors and producers in Hollywood whose Red Dragon, Rush Hour movies and X-Men: The Last Stand have grossed more than $1.5 billion in the last 12 years (without factoring in inflationary rate), says he was not trying to "make my own film" with the remix edition. "I have kept the style of the film-makers," he adds. "But I did away with most of the dancing because it was making the film too long for international audiences. I also got the American score added, and improved on the sound. The film sounded too thin to me. Now, when you watch the remixed edition you will feel like you are watching a big Hollywood action film." He says he got into making the new version of Kites many months ago when Amit Khanna, chairman, Reliance Big Pictures, came to see him in Hollywood with Rakesh Roshan. "They showed the film to me and asked what could be done to make it appeal to non-Indian audiences," he recalls. "Of the few Bollywood films I have seen including 3 Idiots which I liked quite a bit, I found the length was too much of a problem," he says, speaking from his Los Angeles office. "In Indian films, everything is large. They push the drama to melodrama, the comedy becomes broad comedy. It is not wrong. But it is a cultural thing. For an international audience, I wanted to turn Kites into a more compact film. It was clear to me, Rakesh Roshan and Reliance that this film should reach an audience that does not usually see Bollywood films." He pauses for a minute, relishing the thoughts of the first meeting. "I gave them my opinion, and next came the tricky part. They asked me if I could take up the project." When he began working on the slimmer edition, Ratner whose Rush Hour films are known for their full-throttle action and comedy asked himself, how he would have handled the film if he were making it. "People in the industry know very well that I am not a snob," he says. "I do all kinds of films including TV and music videos, too. I consider myself a story teller first. So it was important to me that the distractions from the story (in Kites) should be removed." He says Hollywood has the tradition of taking foreign films and adapt them for the American market. "Before I did the first Rush Hour (in 1998), Hollywood distributors had taken some of his Hong Kong films which were in Chinese and given them an American look -- with the American soundtrack and American voices. I am carrying on that tradition with Kites." He felt with his Bollywood project that he was doing something unique. "I love being part of something really exciting," he says. "Some people may not appreciate what I have done but I have a feeling this remix version could lead to making Bollywood experience omnipotent. This could be the first big step towards globalisation of Bollywood movies outside the Diaspora market. And then people will say, Brett Ratner did it, he started the process." Several well-known Hollywood names have 'presented' a few Indian films. The character actor John Malkovich, who fell in love with Santosh Sivan's The Terrorist when he saw it as part of the jury screening at a Cairo film festival, secured the film arthouse release in North America by lending his name to the subtitled film. Martin Scorsese, at Ismail Merchant'S request, 'presented' the restored version of several Satyajit Ray masterpieces including the Apu Trilogy when Sony Classics re-released the films over a decade ago. But what Brett Ratner has done is unprecedented. He has taken a big Bollywood masala film and trimmed it considerably. "And yet I consider my version is the appetiser," he says chuckling. "If you want the main course, see Anurag Basu's full version. It is very enjoyable in its own right." He says given the film's international cast -- with Barbara Mori who plays Hrithik's love interest being a big television star in Mexico and other countries in Latin America -- the market could be quite substantial in many parts of the world where Bollywood films don't get theatrical release. "I expect it to be big in Mexico in particular because of Barbara." "There is also the novelty factor," he continues. "It is not like a Hollywood actor with a Spanish girl. But an Indian boy and a Spanish girl is surely an interesting combination." 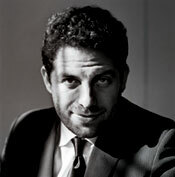 Brett Ratner has long been interested in foreign films. "At the Oscars, my favourite category is foreign language movies," he says. He has been working with Reliance to mount several projects. "I found them to be forthright, professional and respectful of what I want to do with them," he says. "This project had everything to do with friendship. I have an incredible working relationship with the Ambanis (Anil Ambani owns Reliance Big Pictures) and Reliance." There are stories that he worked free on the remix edition. "They could not afford to pay me for doing this," he says laughing. "Look, this is a big budget film for India but my fees are very high in Hollywood." When he works on a film such as X-Men: The Last Stand which reportedly cost $200 million, he would get over $10 million upfront and a back-end deal, with the revenue accruing from worldwide gross. "I did this to cement my relationship with Reliance," he asserts. Will some of the audiences who flocked to Slumdog Millionaire and made it a $260 million worldwide phenomenon come to see the remix version? "I hope many will feel they are introduced to a different kind of cinema," he says. He is not sure he will do another remix like this. But making a film is not a remote possibility, he says. Would he consider making a Rush Hour movie in India? "That is a possibility we can explore," he says. "I learned not long ago that Jackie Chan loves India, Indian food and beautiful Indian women." "Rush Hour is essentially a fish-out-of-water story," he added. "In the first place, it was Jackie Chan who was the fish out of water. In the second film, it was Chris Tucker. Now, what would be a better place than India for both of them to be the fish out of water?"